S: I am Shen Yingxi from Class 3 Grade 9. S: Last Monday, we held the theme activity of “Fly our dream, trail-walk our youth” in the ninth grade. 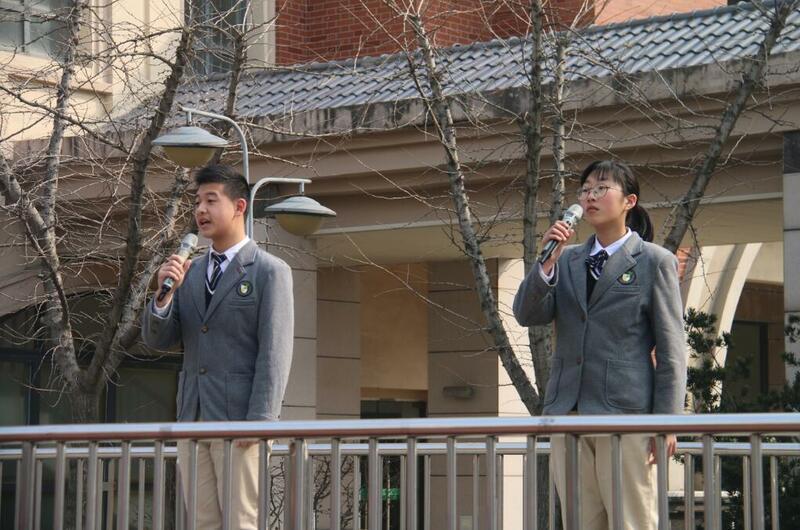 S: Accompanied by our teachers and parents, we traveled 19 kilometers, starting from our school gate. We believe that this activity has brought thoughts and insights to every one of our Grade 9 students. 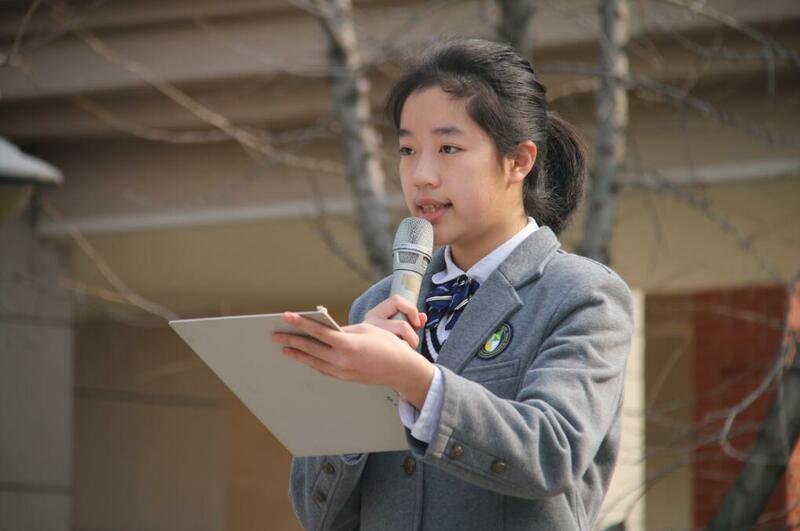 S: Let's invite Zhang Wuyue, on behalf of all the Grade 9 students, to share her thoughts on this Trail-walk activity. S: During this activity, we practiced our brave and heroic will with our walking, and achieved our unshakable goal with our perseverance. S: From now on, let's cherish the last 100 days, get full ready for it, prepare ourselves for it with a hundred times of energy and face the challenges with great enthusiasm. S: Dear Grade 9 students, we should prepare for the high school entrance examination wholeheartedly with high fighting spirits, 100 times of confidence, firm will, solid foundation and superb skills. S: We are sure to cast the brilliance of youth with our sweat, to win a better tomorrow with our efforts. S: Come on, Grade 9 students！We firmly believe that success will ultimately belong to us.